What makes Footprints Floors Different? With your first call, you'll notice that Footprints Floors is different. You can call us a discount hardwood flooring installation and restoration company; but our full service experience that includes highly competitive pricing and service extras like: furniture moving and plumbing/appliance relocation, are only a few reasons we are a step above the rest. We are close by, neighborly, and convenient and our number one goal is to make a great impression on you. Your satisfaction is our top priority! Footprints Floors will do whatever it takes to make you happy with your floors and with us for years to come! Bryan grew up in south Denver. He attended the Air Force Academy in Colorado Springs, CO and served this country after graduation. Like most who serve, Bryan's military experience strengthened his belief in, and commitment to, integrity, duty and leadership. When Bryan and wife Kelli settled in Littleton, Colorado they started a family, three rambunctious girls and two very big dogs. It was then, Bryan noticed that the flooring industry in Denver was highly inefficient and unscrupulous. It was nearly impossible to find providers who worked with a true sense of honesty and fairness. Changing this was not only an opportunity for Bryan, it was practically a calling. 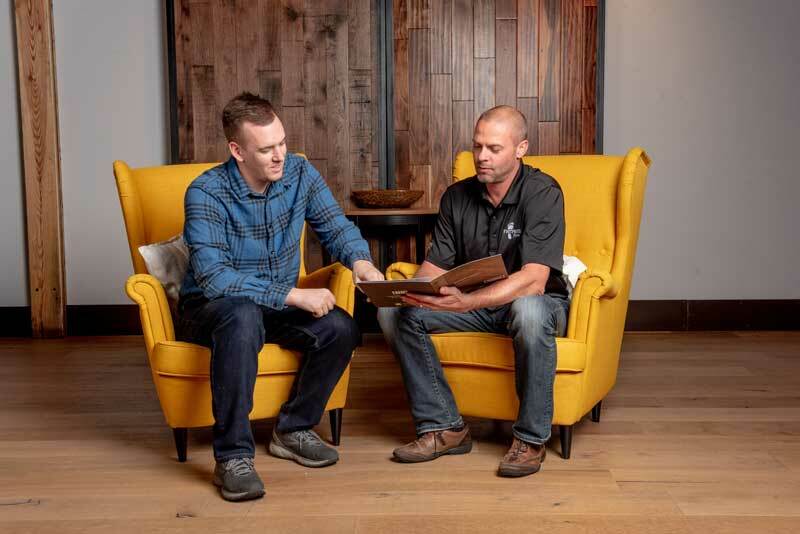 "Putting the customer first and creating an impeccable reputation in this industry was Job #1," says Bryan, about his goals for his future flooring company in Denver. He named it Footprints Floors, and created a unique company structure that promoted the best in people, products and business practices. It worked! So much so, that Footprints Floors is one of the largest hardwood providers in Colorado and is growing rapidly. We are looking to award franchises to a select group of individuals who are motivated to become successful entrepreneurs within our franchise system. Our most successful Franchise Owners come from varied backgrounds, from Corporate America, Medical device sales, to Teachers and even former Flooring business owners. If you’re considering starting a flooring business, make sure to learn more about our unique franchise opportunities and the potential success they offer!